Copa America 2019 is starting from June 14 in Brazil. The opening match will be between Brazil and Bolivia at Morumbí stadium. Group A consists of the host Brazil, two times champions Peru, one time champion Bolivia and Venezuela. Here are the fixtures of the matches from Group A. 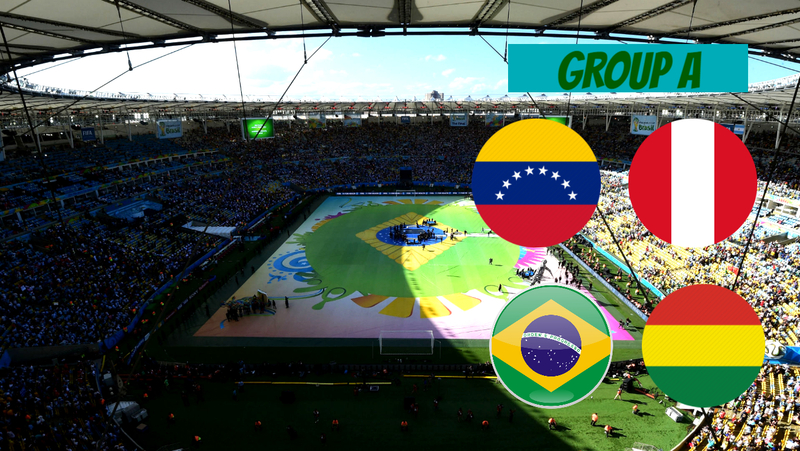 In group A, the strongest side seems to be the host Brazil itself. They have the best and balanced squad in the Copa America 2019 that includes Neymar, Firmino, Jesus, Coutinho, Marcelo, Luiz, Willian and many more. Similarly, they have another advantage as host as well. However, the other teams, Bolivia, Venezuela and Peru will obviously give them a tough challenge. This entry was posted in Copa America Special, General Details and tagged all the details of Copa America 2019 Group A, Copa America 2019 Group A, Copa America 2019 Group A details. Bookmark the permalink.